“Tis the season” usually applies to Christmas, but after a long cold winter I say lets apply it to Spring instead. The snow and ice are gone and the colors of the season are upon us. Nature is not the only thing moving into full swing, as the calendar is blooming as well. The month of May will see the return of the Shipshewana Flea Market for its six month run, along with the Garden Art & Antique Show on May 6th, a cruise-in celebrating the Hudson automobile will be held from May 13-15, and that will be followed by the first extended flea market of the summer from May 31st until June 2nd. 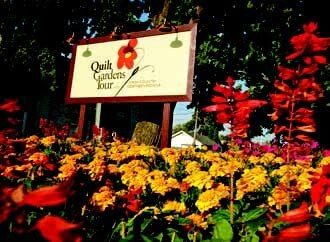 Memorial Day marks the beginning of the 4th annual Quilt Gardens Tour which runs through October 1st. This unique blending of art, quilting, and gardening cannot be experienced anywhere else. If you don’t feel there is enough time to take in all that is available, we are offering a “Spring Appreciation Package” (code P1005). Book a three night stay and take 50% off your third night. Just mention the code when booking your room.